ANE, Agency Network Exchange LLC, has appointed Lisa Melroy of Mount Laurel as Director of Accounting and Operations to consolidate accounting and finance functions, and centralize the company’s business operations. In the last year, ANE added 17 new agencies to the now more than 70-member agency network. ANE members wrote more than $72 million in new business premium and paid more than $9.2. million in profit sharing to members in the last three years. ANE’s growth and financial success distinguishes it as one of the most successful regional agency networks in the U.S.
Melroy joined ANE from Congregation Bethel in Voorhees, N.J., where as Controller she managed a budget of $4 million across five departments and oversaw financial operations. As Director or Accounting for the American Bible Society in Philadelphia, she supervised and trained staff, and improved financial processes. From 2009-2017, Melroy was the Chief Financial Officer and Chief Administrative Officer, Holy Cross High School in Delran, N.J., a 50-person organization with an annual budget of $6 million. Her prior experience includes Regional Controller for Willis North America/HRH Insurance Company, and Reporting Manager for Commerce Bancorp. Currently Melroy is the Board Treasurer for Impact Services Corporation. She is a graduate of Rowan University and resides in Mount Laurel with her family. MONMOUTH JUNCTION, N.J., January 16, 2019 – ANE, Agency Network Exchange LLC, announced it added 17 more agencies in Pennsylvania and New Jersey in 2018, growing the network to more than 70 independently owned and operated agencies across the Mid-Atlantic states. ANE members wrote more than $72 million in new business premium and paid more than $9.2. million in profit sharing to members in the last three years, distinguishing ANE as one of the most successful regional agency networks in the U.S. Marsh Berry predicts that 85% of all independent agencies will be part of a network or aggregator group within the next five years. ANE, Agency Network Exchange LLC, is a regional network of independent agencies that gives members increased strength in the marketplace. Based in Monmouth Junction, N.J., ANE has grown rapidly from just three agencies in 2009 to more than 70 agencies across New Jersey, Pennsylvania and Maryland with $250 million in controlled premium. ANE’s innovative and flexible model responds to the individual needs of independent agencies of all sizes. ANE helps agents increase agency revenue by pooling premiums to increase contingent revenue, increase new business sales, and provides support to help agents be better business owners. Visit www.ane-agents.com for more information. 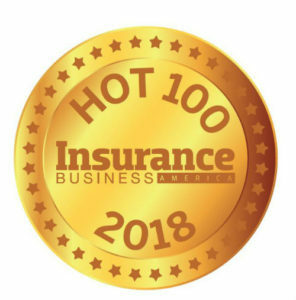 In its fifth year, Insurance Business America’s Hot 100 list pulls together insurance professionals who stood above the crowd in the past 12 months. From a pool of hundreds of nominations, IBA narrowed the list of 100 professionals. From industry tycoons and fresh new talent to innovators and entrepreneurs, they are a true reflection today’s evolving insurance industry. ANE just completed a very productive ANE Leader-2-Leader Peer Workshop in Philadelphia. Our next session is November 14, 2018 at Holiday Inn in Clark, New Jersey from 9 am – 12 pm. These sessions enable you to join your ANE colleagues to kick around ideas on how they are dealing with the challenges of running an agency, finding producers and staff, writing new business, and where the future of the industry is going. Carrier Know-How. Know how to submit and sell to a carrier. You will move your submission to the top of the underwriter’s desk, plus get better pricing and a quicker response. That’s what your clients want. It’s a lost art that’s a great marketing differentiator for your agency. Do you have a niche that you are not leveraging to get new business? If you are looking for a way to differentiate your agency, look at your book of business. 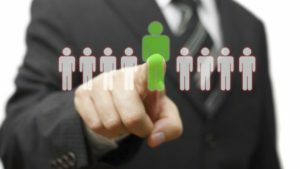 It is likely you have experience in niche markets - whether it is the ten restaurant accounts you have or the eight accounting firms. That means you already know what carriers are best for these businesses and their risk management issues. You can leverage that experience to get more similar accounts. Most new business comes from taking away business from an incumbent. To overcome a generalist you have to “outniche” them. Show the prospect what the generalist has missed – because they are not the niche experts you are. Go beyond price, so the incumbent doesn’t just match what you offered. Use your expertise to make a case for how your risk management can help them avoid claims and subsequent premium increases. A starting point for marketing is to create a sell sheet and a dedicated webpage about your niche. Use Facebook and LinkedIn to post an article such as “3 Ways This Niche (fill in the blank) Can Reduce Its Insurance Costs.” Send that article out via email to your niche prospects. Ask your current clients in your niche for testimonials. Over time as you build your book in your niche, you will develop a reputation as a sought after go-to insurance expert. Why are agencies banding together? Because networks leverage strong relationships between agents and carriers to drive business and yield positive results across the board. “Networks like ANE are dealing with agencies who want to remain independent, and want to continue to move forward, grow and perpetuate, whether with family or existing management groups. That’s what has fueled our rapid growth in the past few years,” says ANE CEO John Tiene. What technology should your agency focus on? Agencies that are trying to stay competitive are often faced with having to make decisions about how to use technology to give their agencies an edge. A recent article in “Business Insurance America” talked about the importance of automation and analytics. That’s one reason why ANE offers its agents Vertafore at a discounted price along with hands-on support services. Automation for back office management improves customer service – the key to retention. The analytics provided via Vertafore enables agencies to make informed decisions about growing their business. "Team ANE: Overcoming Obstacles & Achieving Success"
In 2017 the National Association of Professional Insurance Agents (PIA) conducted its inaugural Independent Agent Study — a research project designed to annually take the pulse of independent Property & Casualty insurance agents throughout the U.S. The exodus of talent on the agency side remains concerning. Forty-five percent of our independent-agent study respondents, most of them principals or owners, said they planned to retire in the next nine years. ANE works with our members to develop new producers by providing training and ongoing support. We also help owners prepare for succession if that’s what they want. Only about 1 in 4 (24%) of PIA members who responded said their insurance carrier relationships were improving; 19% said their relationships had declined. ANE prides itself on providing members better access to more carriers. Our network’s buying power and our close working relationships with our carriers means when agencies need support to close a deal or solve a problem, they get it. Despite 56% being armed with agency smartphones, only 41% of respondents said they can provide quotes to prospects while out in the field. Our members access Vertafore at a discounted cost and with hands-on support enabling agencies to “go mobile” and much more. If you are facing any of these issues, ANE is here to help.